A Day at Marysville features plenty of Union Pacific action at Binney Junction, where the UP Valley Sub and Sacramento Sub cross. BNSF comes through Marysville, using trackage rights over the Union Pacific. A Day at Marysville captures the railroading action at Binney Junction in Marysville, California. Binney Junction is a well-known spot to local railfans. Union Pacific’s Sacramento and Valley Subdivisions cross at this otherwise unremarkable spot atop one of the Sacramento Valley’s many levees. The Sacramento Sub is the old Western Pacific main. The Valley Sub was once Southern Pacific’s Valley Line. 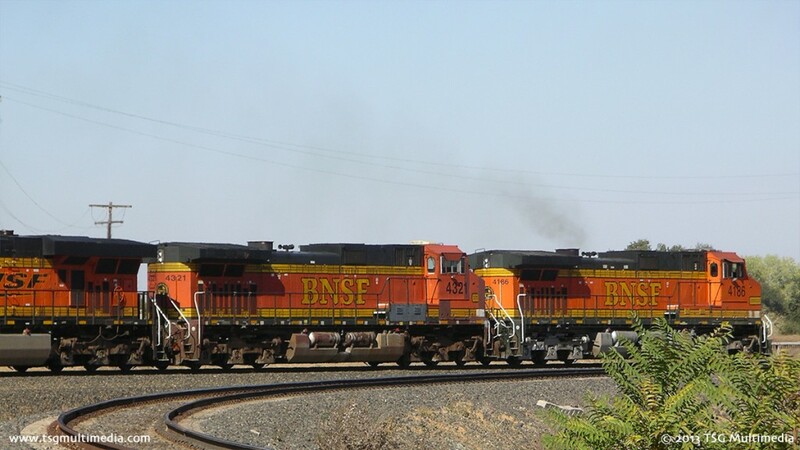 Though today both lines belong to Union Pacific, BNSF trackage-rights trains provide for some variety. 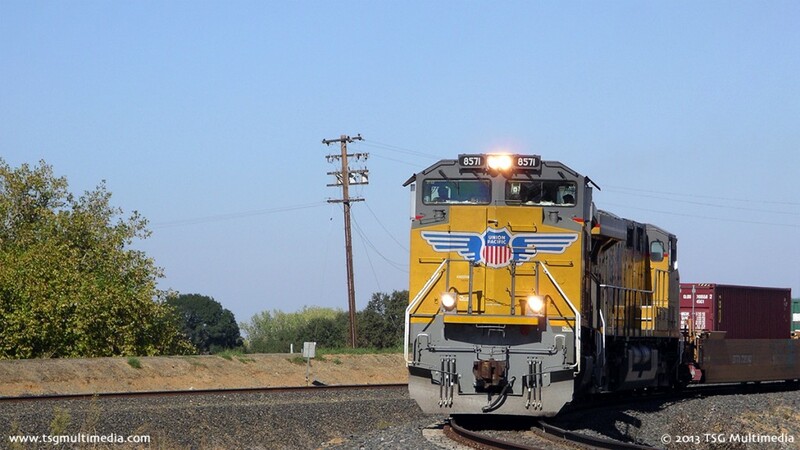 UP’s Valley Sub starts in Roseville and goes north all the way to Dunsmuir, carrying UP freight bound for Oregon and the Pacific Northwest. 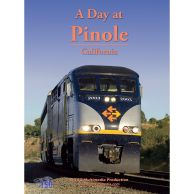 The Sacramento Sub starts at El Pinal in Stockton and continues east by timetable to Oroville. 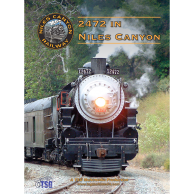 UP trains running through the Feather River Canyon use the Sacramento Sub, as do BNSF trains which will turn north onto home rails at the famous Keddie Wye or continue east over the UP. 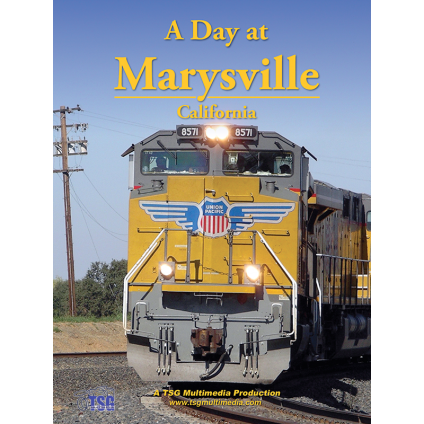 On October 23, 2008, TSG Multimedia’s cameras filmed every train that came through Marysville from mid-morning until late in the afternoon. Each train is shown in its entirety, just as if you were there with us at trackside. We waited around in the sun filming, all to reduce a full day of railroading action into one fast-paced 66-minute DVD! 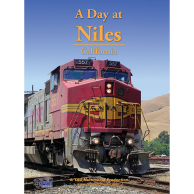 This all-freight production features trains from both Union Pacific and BNSF, including stack trains, manifest freights, TOFC trains, a local, a work train, and more! We’ve even included some footage from other places on the UP system beyond Binney!